Alex Peric is quite the interesting individual in my opinion. Not only has he created quite a large following on different social media platforms, but he has managed to teach me a very valuable lesson in life which was how to fish and actually enjoy it! 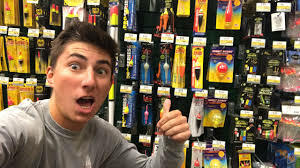 Prior to stumbling my way across Alex's videos of him fishing, I thought it was the biggest waste of time anyone could ever do! I mean why would anyone want to go sit in the middle of a lake on a boat casting and reeling over and over again hoping to catch a fish? It wasn't until I watched an episode off of his Vlog channel APBassing on YouTube did I truly understand the experience that fishing is. Listening to Alex talk about just being out in the nature seeing these beautiful sites that you would otherwise never see, being in the moment breathing the fresh air really stuck with me and got me into the sport of fishing. After being inspired to get out and give fishing a shot and watching a video where Alex went to a local Walmart and spends 25 dollars on a reel and tackle combo I was on my way to the store. Now equipped with my rod, hook, and bobber I drove ten minutes to the river nearby my house and began turning up rocks in search for a juicy worm to thread onto my hook as bait for what I had no idea what was to come in the next few mintues! 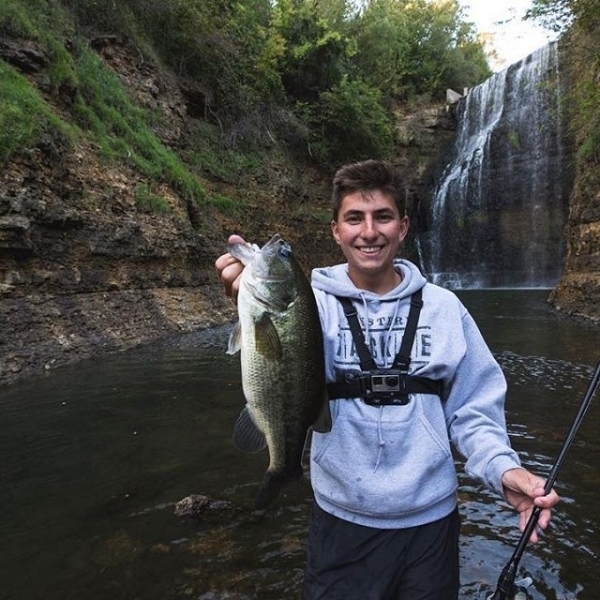 I grab hold of the line, flip open the bail on the reel, swing the rod back and then fourth letting go casting the worm and bobber flying through the air splash landing in the perfect spot next to a fallen tree in the water which acts as a hiding spot for fish. Standing there staring at the bobber intensily, I see it start to ripple around the edges dipping down into the water so I grab hold of the pole tight and give it a quick yank upwards hooking a fish! I was in complete shock the feeling of something at the end of the line through the rod was like something I've never experienced in my life before. After a few minutes of the fish going left then right and back again I managed to tire out the fish and bring him in. Grabbing the fish by it's lip I lifted it out of the water and unhooked it admiring the beauty of the Bass. At this moment I realized what I had been missing out on, even though it was only a few short minutes of reeling the fish in it certainly felt much longer. It is safe to say I am 'hooked' on fishing. After catching my first bass I wanted to know more about fishing and how I could improve my chances of catching fish I found out that there are tour guides you can hire and the will take you out on a guided tour of a lake where you will most definitely catch a lot of fish as they have studied the lake you would be fishing at and understand the behavior of the fish species like where they are at certain times in the lake and what type of food they are feeding on. These experiences are often sold in packages were you would stay at a lodge for a couple of weeks having all meals cooked for you there as well as eating the fish you catch from out of the lake. It doesn't get anymore fresh than eating a fish that has just been harvested within the hour and on your plate. All thanks to stumbling upon a fisherman with such a positive outlook on the sport was I able to become inspired to try it for myself. Not only is it fun but it can also be profitable. 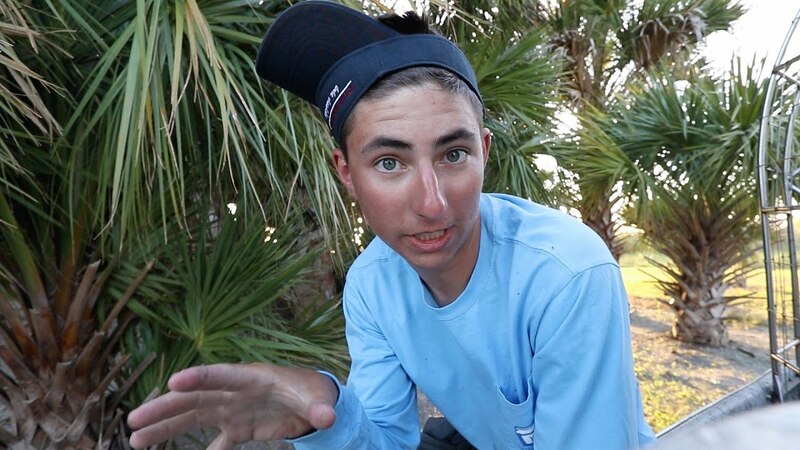 Alex has a YouTube channel that he records vlogs on which have Google Ad Sense on them bringing in some income, but that is not the only way to earn money while fishing. 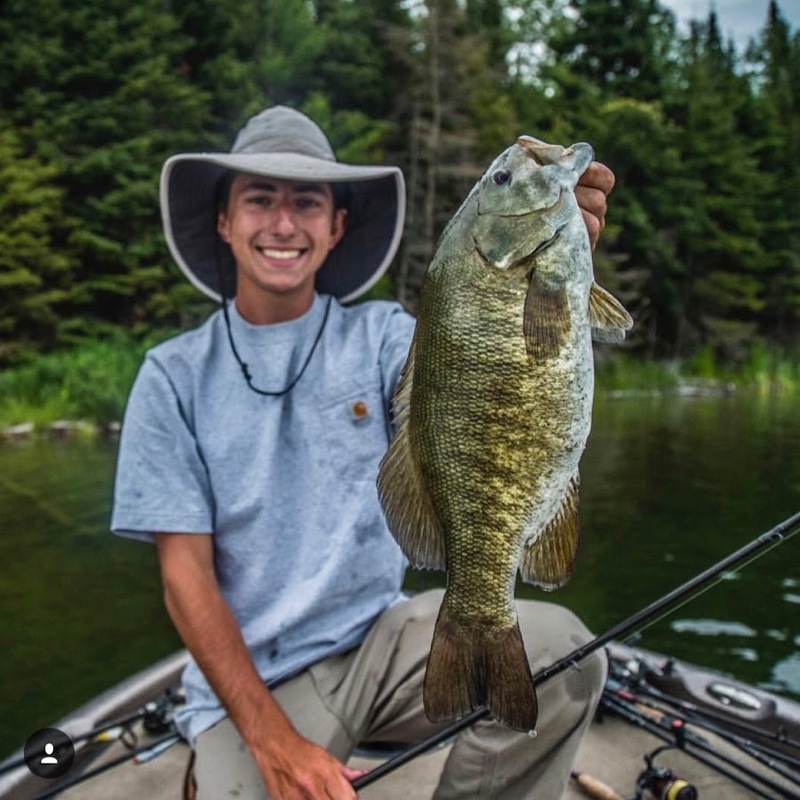 Sponsorships are a great way to get free tackle and rods usually requiring you to take photos and discuss the products in return for the gear. 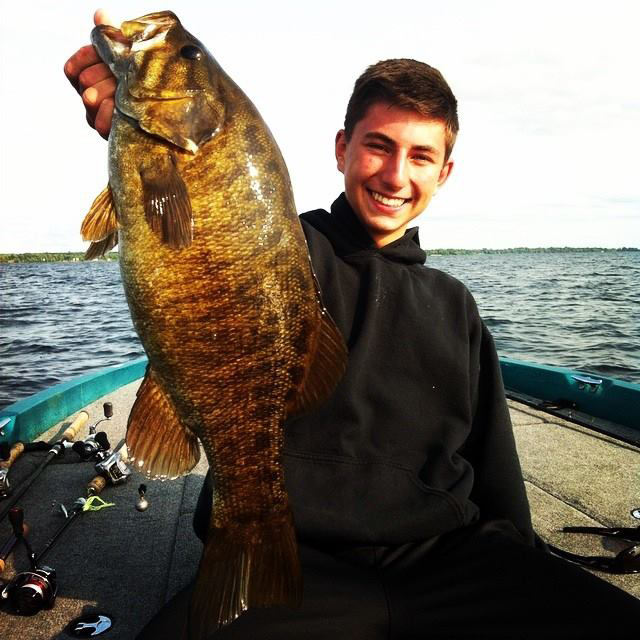 There are also different types of fishing you can do as well from normal rod and reel where you can fish from shore or in a boat to even a personal kayak to ice fishing where you use a smaller rod and drill a hole in the ice. Fly fishing is another method where you use a really long rod and try to imitate a fly landing naturally on the water. This is a bit more difficult as you have to keep tension on the line as you pull the fish in by grabbing the line but it has proven in the past to catch the biggest of fish as the larger and older they are the more chance they wont fall for a lure but no fish can resist a well placed fly. I know the old saying 'give a man a fish and he eats for a day. Teach a man to fish and he eats for a lifetime' and that is exactly what I thought it was, an old saying, but in reality I could not have been more further from the truth. Little did I know at the time, fishing is much more than just casting and reeling it is a lifestyle. I have learned the respect fisherman have for the nature, and also each other out on the water it is an interesting community of people that care for the overall well being of the fish, and of course catching and eating them. 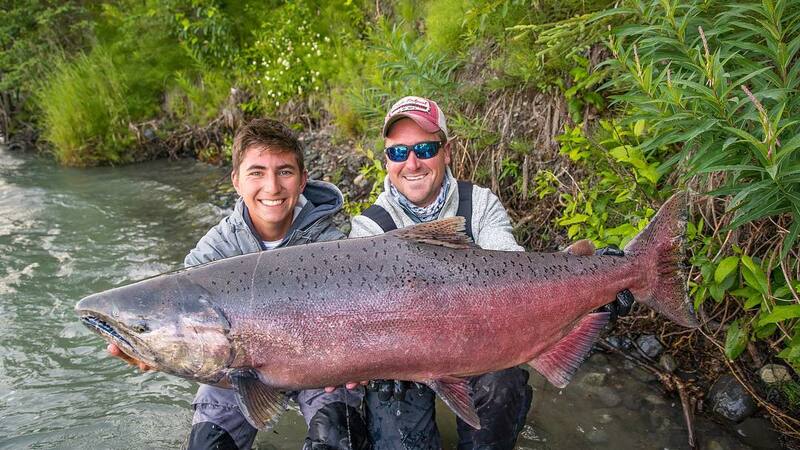 I am more than a fan of Alex for showing me this sport and I wish anyone reading this article gets out there and catches at least one fish in their lifetime it will be a great experience you will never forget.